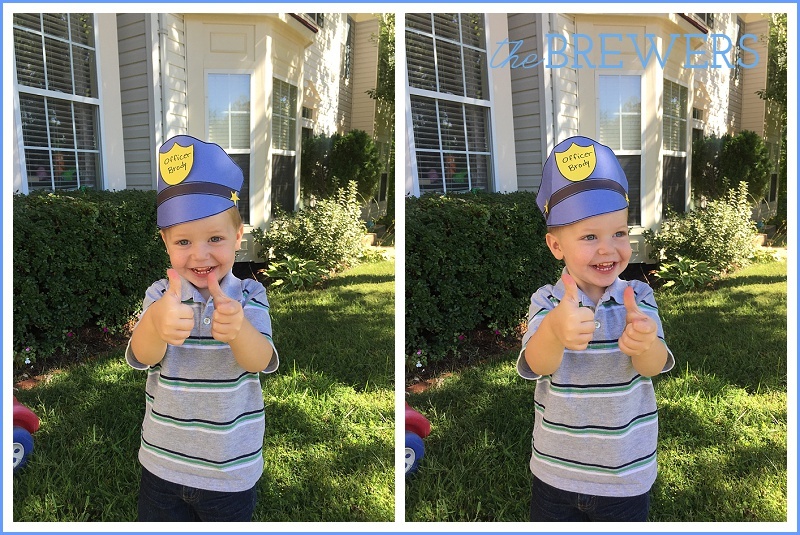 When the unit in preschool came up for police officers, firefighters and EMTs, I knew Brody would be a big fan. 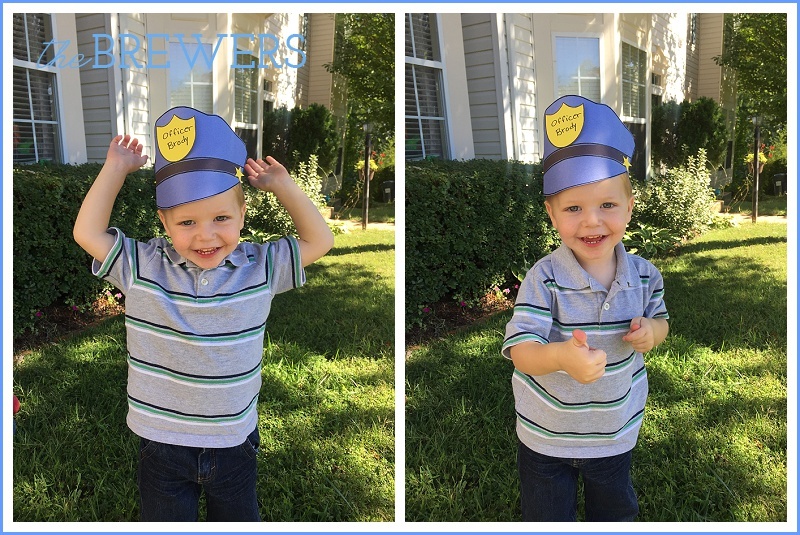 Each day he came home with a little something that he'd made, but when I picked him up in this little police hat, I about died. I can't believe he's gotten so big, going to school and making these cute things!